Regarding fine arts I am interested in the spiritual marks left by mankind; in those signs and signals carried by objects and memories that — through their qualities — bring to us messages from times long past and their people, warming us up with the stories of their lives and their destiny. Through colors and forms they convey to me the harmonies and dissonances found in human relationships. I pursue these secrets, that glimmer towards me with their mysterious glow, as if I were querying for the past and its enigmatic relationships from within a magical dimension, contrasting them with the frivolous, banal emblems and bizarre human symbols of our present age. Thus, my paintings are not abstract works of art; rather they approach the metaphysical, as I try to unravel the secret signs from the distant layers of ages and spaces. Through my work, I am peeling off the layers hiding the messages that were sent to me from those old times, like a medium listening to whispers from people long gone. I avoid bombastic, tension creating and provoking symbols and I seek to make space and time perceivable, as I try to sanctify them. In this process even the most banal objects become serious and gain a fateful significance. My desire is to make the surfaces (of my paintings) timeless, overlapping time consuming layers of color, until they visibly start to radiate, taming even the autonomous aggressiveness of fate itself. This bizarre wish which avoids every superficial impression, burning colours and picturesque effects is nevertheless saturated with painterly vanity, as it wants to infect and appeal deeply through its silent radiance. Thus, I could say that my paintings are not burning and flaming aggressively but rather that they are glowing reliably. I think this glowing, in our spiritually emptied age, could also mean the glowing of humanity, the peaceful island our disillusioned souls have a need for in the stormy times of our present. Born August 9th, 1936 in Kolozsvár/Cluj, Romania. In 1948 the family moves to Sepsiszentgyörgy/Sf. Gheorghe where his father, Mihály Jakobovits, is managing the painting workshop at the local theatre. 1950-54 – Marosvásárhely, studies at the Fine Arts Secondary School. His art teachers were: István Barabás, Gábor Piskolti. 1954-59 – Kolozsvár/Cluj, studies at the "Ion Andreescu" Institute of Fine Arts. His professors were: Tibor Kádár, Gábor Miklóssy. As a young man he becomes good friends with Sándor Mohi, Albert Nagy and Andor Antal Fülöp, all well known Transylvanian artists. In 1959 he moves to Nagyvárad/Oradea and has his first participation at the regional art show. In 1967 he marries ceramic artist Márta Sárközy/Márta Jakobovits. Over the years he travels to various countries in Europe and Asia: Hungary, Czechoslovakia, Austria, Germany, England, France, The Netherlands, Spain, Russia, Lithuania, Armenia, Georgia and Azerbaijan, where he visits museums and art galleries. 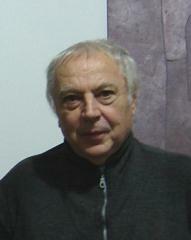 From 1960 on, he becomes actively involved as an artist and as an organizer of artistic events on both the Romanian and the international art scenes. Paintings permanently on show in Oradea at: the State University, The Theatre, Partium University, The Editorial Office of the “Familia” culture magazine and within the Directorial Offices of numerous schools in the city. Participation in various painting, graphics, ceramics, glass, paper-arts and art history residencies and symposia in Romania, Hungary and Holland.